Planning to visit China and you want to explore not the most classic cities of this country and you appreciate affordable deals from Europe based on a direct service check out this promotion based on a SkyTeam member China Southern Airlines. Based on their service you can book affordable non-stop flights from Frankfurt to Changsha already for €423! Fare is inclusive of all taxes and fees, onboard meals and 23kg checked luggage. Not only that this is based on a direct service this is also currently the cheapest option from Germany to this Chinese city. Thanks to his discount you can explore Changsha, the capital and most populous city of Hunan province located in south central China. Consider this deal if you want to visit amazing Zhangjiajie National Park Forrest (Tianzi Mountains), also on our list of world most amazing places you have probably never heard of..
China Southern offers many travel dates when traveling from Frankfurt to Changsha from 19th of February to 22nd of June 2019. Based on latest date of your outbound flight from Germany to China. Max stay 3 months. Book this China Southern promotion by 27th of February or until sold out. Please refer below to our booking and travel date samples if interested in this deal. 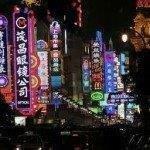 Need an accommodation in Changsha we recommend service of Booking.com or Hotels.com. Travel days Frankfurt-Changsha. : Both outbound and inbound on Tuesday, Thursday or Saturday. Booking sample of cheap Non-stop flights from Frankfurt to Changsha, China from €423! In this case you would depart from Germany to this Chinese city on Saturday, 18th of May. Inbound flight from Asia back to Frankfurt would take place on 30th of May 2019. Both ways are based on China Southern non-stop service.